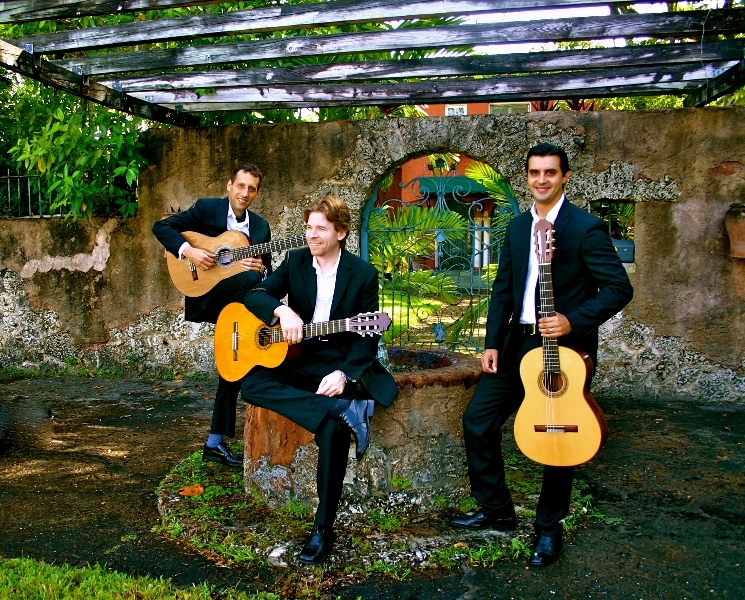 The Miami Guitar Trio, a unique chamber group in South Florida, was formed in 2009 and is comprised of Federico Bonacossa, Corey Harvin, and Federico Musgrove Stetson. Their very diverse backgrounds are characteristic of the rich cultural environment of the region. Some of MGT’s recent performances include concerts for the Miami Bach Society, the Sarasota Guitar Society, the Miami International Guitar Festival, the State College of Florida, the Miami World Music Festival, and WLRN Radio. Their concerts feature a wide array of early to contemporary music including original compositions and arrangements. The group’s mission is to expand the guitar trio repertoire through commissions, original compositions, and arrangements of music for other instruments. This concert is sponsored in part by the FIU Guitar Club.